Products on this site are hand made by traditional metalsmithing techniques. Some findings such as earwires and catches are commercially available and can usually be interchanged with different styles or done in other colors and karats. 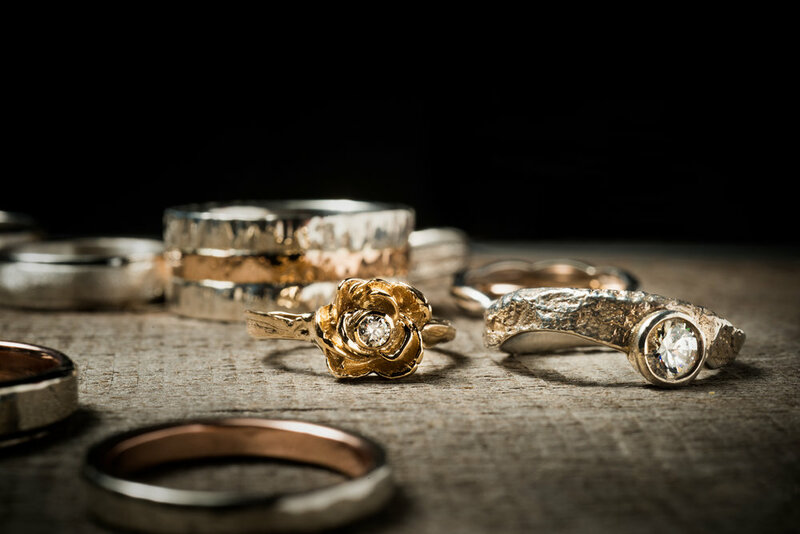 Most of our pieces are either fabricated: forming and shaping stock material, or cast using the lost wax casting method. Some designs are achieved using a combination of two approaches. The vast majority of our casting is done in the studio, which helps us maintain our costs and quick turn around time for pieces not in stock. We enjoy working with customers to create the perfect piece.